Wow, I had an absolutely perfect Easter weekend :) It started with dinner at @zoosev's with @WhizBangLouLou and some other girl-friends on Thursday evening. The Trucker came over after I got home and we had a lazy morning deciding how to start our weekend away. We had breakfast at a nearby Mugg&Bean and then grabbed some lunch-supplies at Woolies and got on our way. We headed for the Pilanesburg Game Reserve. We had a stunning afternoon driving around and spotting game. We joked about only seeing Elephant (like on our Botswana trip) but, this time we saw quite a lot! Just no predators. We did see quite a lot of Rhino tho :) And had an amazing sighting of Elephants with calves playing in a watering hole. It was amazing! As the sun was setting, we headed back to Magaliesburg to check-in at our weekend's accommodation, Matlapa Lodge. Wow, the place was lovely and exactly what I had been looking for. Only 9 units, all self-contained. An awesome outdoor shower (the weather this weekend was still perfect for it!) and a gorgeous deep Victorian bath. The only thing that didn't wow us about the place was their very boring and average breakfasts. It got a little the same so we skipped our last one. But other than that, I would seriously recommend the place :) It is lovely. On Saturday morning we were up early and off to do the Magaliesburg Canopy Tour. Now, I've always wanted to do one of these, but have always been too nervous. I've gotten a little afraid of heights in my old age ... and, honestly, have never been much of an adrenalin junkie. To be honest, I am too terrified of going on The Big Wheel at fairs ... you know, the ones with the open seats that rock every time you stop to let the people at the bottom off & on. I wouldn't have a problem if I was strapped in or completely contained. If I am peering over a dizzying height, I prefer something at waist height between me and the nothingness down below. Being strapped in and zipping between cliffs ... well I wasn't really sure if I could stomach it. But, The Trucker was keen and I figured what is the worst that could happen? (The most used question in my vocabulary) And so we signed up and went. And it was *awesome*. Seriously, except for the first fast one (where I wasn't convinced the brake would stop me slamming into the side of the rock), I was absolutely fine. The view was stunning. We're definitely talking about trying the Magoebaskloof or Drakensburg ones! The most disappointing thing tho was the lunch afterwards. Our guides were fantastic. We browsed around a few of the small shops in Magaliesburg on our way back to Matlapa Lodge. Honestly, folks, I don't really get the appeal of the Magaliesburg ... aside from all the awesome things to do in the area, the place itself is pretty disappointing and you can't go there with nothing in mind and just wing-it. There is absolutely nothing of interest in the actual "town" itself. We stopped at Melon Rouge for scones and then we had a lovely relaxing afternoon, reading our books and napping. 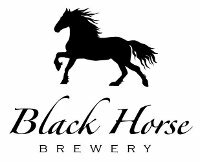 Luckily we had seen a potential dinner spot on our driving around and hit jackpot with The Black Horse Brewery & Restaurant. Wow, what a gorgeous place. And we had a delish dinner and the prices were quite reasonable. Would definitely go back here! Seriously, it was the only food-highlight of our entire weekend away. The rest was pretty much a #foodfail :( Haha. On Monday we skipped out breakfast at Matlapa and instead tried Le Classique Ristorante. A bigger breakfast but, really, more of the same. After that we headed home.